“Tiny Spark,” by Brendan Benson | I was very lucky during the beginning of my musical career. 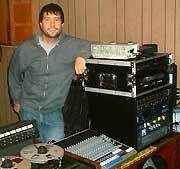 My first official album was recorded and produced by Brendan Benson in his home studio in Detroit. 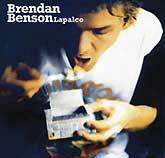 I had been a huge fan of Brendan’s first record, One Mississippi. I was a sponge during those sessions, as I realized I was in the presence of a true genius. Then the moment came about half way through the record. Brendan turned on his tape machine and played me a track he had been working on. The song was “Tiny Spark.” I was blown away instantly. The song had everything I loved about music wrapped up in three minutes. When we finished recording and mixing, Brendan gave us our CD. He also gave us a CD of what would later be released as his album Lapalco. This was the first album I had ever made and my CD never made it into the car CD player on the way home. 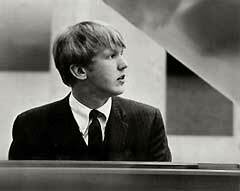 “One,” by Harry Nilsson | Nilsson will always be my favorite vocalist of all time. He could sing just about anything and transform his voice to fit the tune perfectly. There is a lot of beauty in the lyrics and the melody of this tune. If you are going to write a sad song, this is a great one to take notes on. 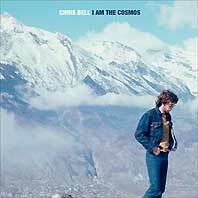 “I Am the Cosmos,” by Chris Bell | I am a huge Big Star fan but I may be an even bigger Chris Bell fan. The song itself is gut-wrenching in the best sort of way. The vocal performance is even more so. You can hear and feel Chris’ pain. It also sums up what I love about Big Star. The guitar tones are huge and warm. The production is flawless. 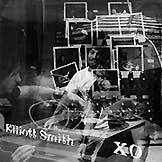 “Waltz #2 (XO),” by Elliott Smith | I caught on to Elliott Smith late in the game. The first record I bought was XO; it was referred to me by a friend. I was instantly drawn in. I will still say that Elliott is the closest we would get if Lennon and McCartney were one guy. He had Lennon’s desperation and McCartney’s melodic sense and musicianship. This became my favorite track early on and still is to this day. The imagery of the lyric is very trademark Elliott. This haunting track still gives me chills when I listen. 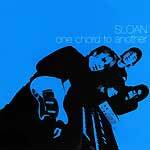 “The Good in Everyone,” by Sloan | Picking a favorite Sloan album would be hard enough…but a favorite track? Please. That being said, for this exercise I shall choose “The Good In Everyone,” the leadoff track from the brilliant 1996 release, One Chord to Another. After spending big Geffen money on their first two records, Sloan found themselves looking to flip the script in a sense and record their third record minus big label funds (their first two records had 100K budgets; this masterpiece was recorded for 10K). This song is really Sloan at their core–it has an enormous hook elevated by harmonies that will resonate in your memory for what should be a lifetime. And if you really want to feel the power of this song, watch the video–it’s a majestic piece that reenacts a scene from the movie Easy Rider in its intro. This is a band that couldn’t be stopped. “Marie Provost,” by Nick Lowe | Nick Lowe was more important to the secondary British Invasion than sales would indicate. His imprint on what was coming out of the UK in the late ’70s through the 1980s was undeniable; consider the countless records he produced by such artists as Elvis Costello, Graham Parker, and the Damned. 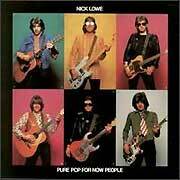 Nick Lowe’s records were charming, witty and rocked, despite the overt poppy overtones. “Marie Provost” perfectly molds all that is Nick in one song. You get incredibly funny lyrics based on a very true and tragic story of a Canadian silent film actress who died alone in her apartment amongst countless liquor bottles, a $10 promissory note to Joan Crawford, and a barking dog that may or may not have tried to take matters into its own paws, as far as food goes. 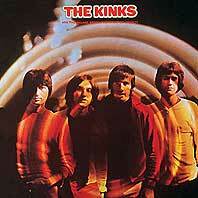 “Big Sky,” by the Kinks | I suppose I could’ve selected any track off the Kinks’ exemplary 1968 release, The Kinks are the Village Green Preservation Society. This is truly a mind-blowing record as a whole, but when you take a track out of the original mix, you see how these little English classics can live on their own. “Big Sky” may be the perfect Ray Davies composition, in my opinion, as it has the key elements that make a great Kinks song, such as the immediate, yet simple melodic hook married to an introspective lyric. This song is delivered as a heavier rock piece, a style that the very proper Kinks were clearly moving away from. “Pictures of Lily,” by the Who | At one point I hope the world realizes the brilliance of Pete Townshend as a holistic composer; his ability to wax poetic on an array of simplistic, yet direct subjects and write complex, truly diabolic songs about introspective demons made him the genius that we have today. “Pictures of Lily” will always be a favorite of mine. I especially love the key change in the second half of each chorus that takes you to the breakdown, at which point Keith Moon brings you to the best part of the song: the ba-da- da-dum-dum–“Pictures of Lily!” This is followed by an amazing French horn “solo” by John. Lyrically and in two minutes and 35 seconds, Pete tells a full story of an individual with insomnia who is given a picture of a pin-up girl (the eponymous Lily) from his father. The individual falls in love with the pin-up girl, which leads to sleep and the realization that the girl has been dead since 1929. 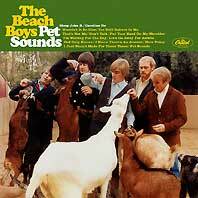 “Please Let Me Wonder,” by the Beach Boys | I’m firmly in the Pet-Sounds-is-the-greatest-record-ever-made club, but side two of The Beach Boys Today contains every bit of that same magic. “Please Let Me Wonder” starts the side off with a perfect dose of Brian Wilson longing. I’m a harmony guy and as heartbreaking as this song is, the Beach Boys’ harmonies are mixed so loud they could almost be considered the second lead voice. I wish every song was mixed this way! I could happily spend the rest of my life listening to Beach Boys vocals-only mixes; you need to do yourself a favor and check out the “Please Let Me Wonder” vocals-only outtakes, if you haven’t already. 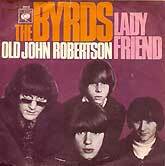 “Lady Friend,” by the Byrds | There are times when I think this amazing David Crosby song is my fave song of all time. If I could ever manage to make a favorite songs list, this would be near the top for sure. Everything I still love about pop music is entirely contained in this song–an inspired melody, giant harmonies, driving guitars and horns. Some top-notch girl lyrics can never hurt, either. There’s mystery to this song. I can never fully get to the bottom of why all these pieces are able to combine in a way that destroys me every single time. If I ever had to play a single song to define myself musically, I’d be comfortable playing this one. 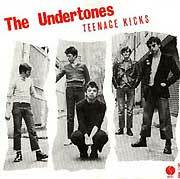 “Teenage Kicks,” by the Undertones | That sound! The sound of this record kills me. This song sends electricity directly from the speakers to my nervous system. Something about that opening riff is pure magic. Feargal Sharkey never sounded better or more alive, and the solo just ruins me every time. I didn’t hear the Undertones’ first record until the Ryko re-release in the mid-’90s, but it’s been in regular revisit rotation ever since. “Keepers,” by Del Amitri | Somehow, Del Amitri’s self-titled, first LP gets ignored and belittled by every Del fan that came after this record. 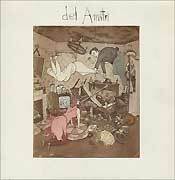 No single LP made more of an impression on me than this one; I seriously love every single note contained within. “Keepers” has always been a fave song on the record. It’s an absolute epic with multiple peaks, told from the point of view of a man who only appears to only be interested in owning females. But like all great pop music, this song is wrapped up in gorgeous paper so that the lyrics take a few listens to sink in. Always an appreciated bonus. Go find this record! 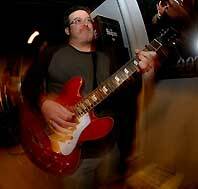 (Dan Pavelich is a power pop musician wearing many hats. He is the rhythm guitarist in the Bradburys, and the producer of three volumes of the much-loved Hi-Fi Christmas Party CDs, benefiting research on Von Willebrands Disease being conducted at the Blood Center in Milwaukee. 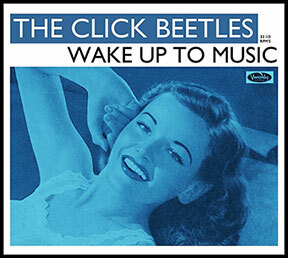 Dan’s latest solo project, released under the clever and catchy name The Click Beetles, is Wake Up to Music!, all of the songs from which are now playing in rotation on Pure Pop Radio. We’ve got one of the very last, physical copies of this album to give away, plus a bonus download, for a couple of lucky people (see below). 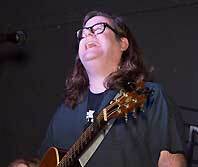 When he’s not playing music, Dan is a music critic and cartoonist for the Kenosha News in Wisconsin. 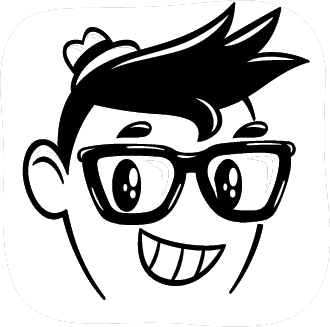 His lively and funny strip, Just Say Uncle, can and should be viewed daily on the Go Comics website. Instead of doing a standard interview about my album Wake Up to Music, Alan Haber asked me to pick 10 of my favorite songs and write a little something about them. This is far from being a complete list of the favorites that have stayed with me over the years, but these 10 really informed my future musical taste, songwriting style and musicianship. They are the few that have been absorbed on a molecular level. Though I only list one song by The Beatles, the instrumental influence that Paul McCartney and George Harrison have on me can’t be overstated. Whenever I’m stuck for a bass line or a guitar part, I imagine what they would have done, and something generally comes to me. It’s easy to forget the golden rule when you’re recording solo: “Serve the song.” That’s something those two guys and their band mates were masters at. I found Buddy Holly by way of The Beatles, around the time that I got my first acoustic guitar. “It’s So Easy,” from the Buddy Holly Lives greatest hits album, was unlike any hook I’d ever heard, even before I knew what a hook was. I just could not get the melody out of my head. I could manage Buddy’s three-chord arrangement (plus a B7 on the turnaround), and it was pure joy to play along with him. It’s probably the first song I’d say I ever became obsessed with. I played it over and over. It’s impossible to pick a favorite Beatles song, but this one inches ahead of a few others like “Getting Better” and “Paperback Writer.” The bass line (one of McCartney’s absolute best) and drums carry the tune, which also sports a stellar Brian Wilson-inspired vocal arrangement. Everything about it just feels perfect. Even with the chord charts for this song, it was beyond my feeble guitar skills in 1982. I wanted so desperately to play along with it, but every time I tried, I was over my skis. I knew that Cheap Trick was paying tribute to The Beatles, which is where my love of pop music really began (along with The Monkees), but this was like “I Want to Hold Your Hand” on steroids. To this day, when I hear it, it’s still as exciting to me as it was the day teenage me first heard it. It’s got a unique staying power. When Robin gets to “It’s a hole in my heart, in my heart…” it’s like a roller coaster getting to the top of the hill, right before the drop. You could probably count on one hand the number of bands that have a song this big. In spite of its more recent merciless soundtrack flogging, “Walking on Sunshine” sounded like nothing else being played on the radio in 1983. 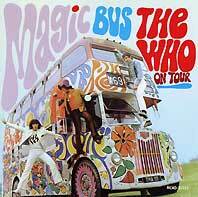 Mixing a shake-up of The Troggs’ “Louie Louie” with a Motown beat and horns was sheer brilliance. Katrina Leskanich’s vocal deftly see-saws between sweet enticement and full-on rock belting, providing a similar give-and-take to what Robin Zander is doing in “If You Want My Love.” This is also one of the songs that got me seriously wanting to write my own tunes. To my ears, The Cars were simply Buddy Holly with new wave keyboards. You can take almost any Buddy Holly song, add the decade-correct synth and drum sounds, and you’d have a new wave hit on your hands. The reverse is also true. Ric Ocasek’s songs would be just as wonderfully catchy filtered through a rockabilly Texas trio. Structurally, “You Might Think” pretty much follows the Lennon/McCartney method. I had started to take guitar lessons around the time that this came out, so I was accidentally noticing little things like that. I also noticed what keyboardist Greg Hawkes was bringing to the mix, in the way of perfectly placed blips and beeps. A lot of his placement ideas have made their way into the way that I approach using keyboards. I was driving around with a high school friend of mine when he popped this cassette in and said, “Listen to this.” The line “In winter 1963, it felt like the world would freeze, with John F. Kennedy and The Beatles” (screaming girls) sent chills down my spine then and still does today. Though this was the only real hit by the band, they made some of the most beautiful pop of the 80s. In addition, they really taught me how important atmosphere could be in a recording. This song just feels like winter. The Dream Academy only made three long players. I wish they’d have continued on. I bought the Especially for You album for two reasons: I dug the cover art and the band’s name had a 1960s ring to it. Little did I know that I was about to discover one of my favorite bands ever. As you can probably tell from the other songs on this list, I tend to gravitate towards uptempo pop singles. The Smithereens were different, though. Sure, they had the peppy “Strangers When We Meet” and “Groovy Tuesday,” but they also had a certain darkness that I’d never really heard in pop music, and I liked it. Singer Pat DiNizio’s impossibly low baritone, in combination with the band’s guitars being tuned a half-step down to a sinister E flat, really made me reconsider the “pop” label. Years later, Smithereens Jimmy Babjak and Dennis Diken would both contribute songs to my charity Christmas CDs. Don’t you love it when your heroes turn out to be as cool as you’d always hoped they’d be? These dudes always struck me as a modern-day Badfinger. Beautiful vocals over 70s guitar figures and thoughtful lyrics. Clocking in at just over two minutes, Del Amitri manages to squeeze in three choruses and one of the best middle 8s ever written. This will always be on my short list of songs that I wish I could’ve written. Though they flirted with chart success a few times, their strength was in recording albums that were brilliant from top to bottom. I’m always surprised that more Badfinger fans aren’t into them. Why is that? I was working a really horrible, soul-crushing job at an electronics factory when I first heard this song over the company loudspeaker. What can only be described as a serene calm fell over me as I listened. It was like an angel tapped me on the shoulder and said, “Don’t worry. You won’t be here forever.” For the next few years, “Your Imagination” would continue to help get me through the monotony of being a second-shift machinist, and it would also make me a Brian Wilson fan. I wonder how many millions of other people have had a similar experience with this song. It really is something special. Those stacked backing vocals are absolute bliss. Someday I will own this on vinyl. Well, not really The Wonders, but Mike Viola and Adam Schlesinger. I think this just might be one of the best pop singles ever written. Adam Schlesinger conducts a master class in songwriting, aided by Mike Viola’s pleading vocal. The true measure of how great this song is, is that you hear parts of it continuously throughout the movie, yet your ears never show the slightest sign of getting tired of it. When The Wonders perform “That Thing You Do!” on The Hollywood Showcase at the end of the movie, it’s still a thrilling listen. The actual chords are really interesting too, with major chords moving to minor, and a few suspended 7th’s sprinkled here and there. Not too many writers use 7th chords these days, which is a nice way to throw a little grit into an otherwise poppy mix. Which Song Would You Like to Have Written? Alan also asked, “If you could have written any song from any decade, what would it be and why?” That’s easy. “White Christmas” by the great Irving Berlin. For me, there are two top-tier versions of that tune. Bing Crosby’s original will always be unbeatable, but Arthur Fiedler and the Boston Pops holds a close second with their instrumental version. Both perfectly express the complete joy we feel only at Christmas time. Categories: The Musician's Opinion	Tags: 10 favorite songs, alan haber, dan pavelich, pure pop radio, streamlicensing, the click beetles, the musician's opinion, wake up to music!